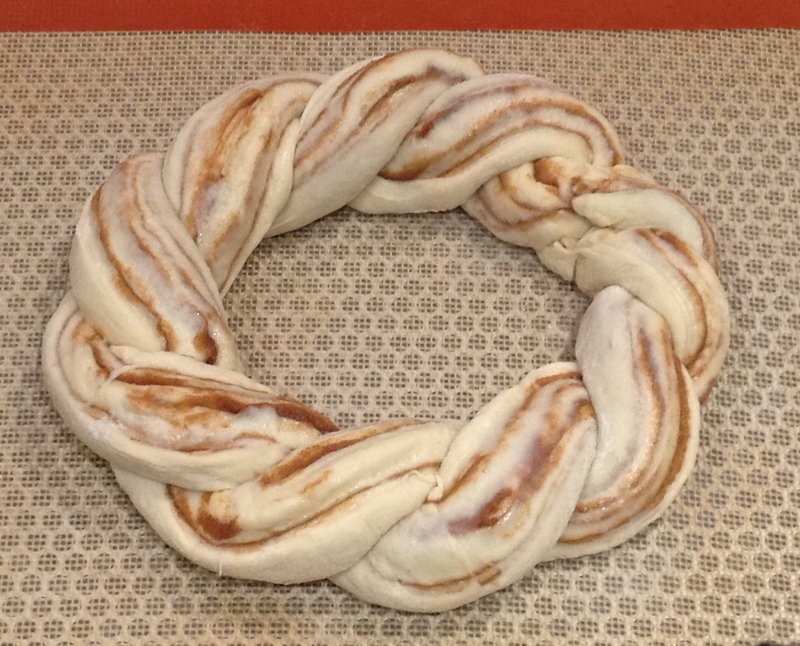 The heavenly aroma of something cinnamon baking, have a cinnamon twist! In mixer bowl, sprinkle yeast over warm water. Add sugar, oil, and 1 cup flour. Mix until well combined. Add remaining flour and salt. Knead. Let rise until doubled. Mix filling ingredients together in small bowl. Divide dough in half. 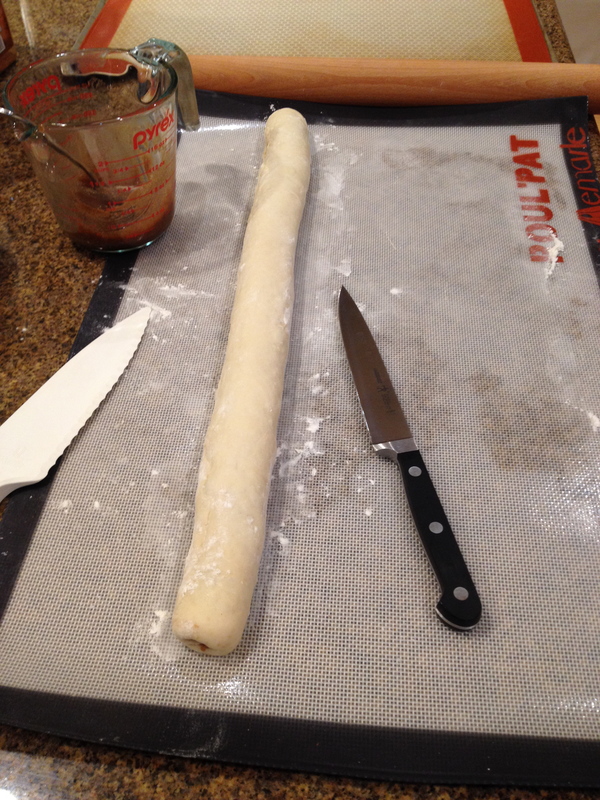 Roll out one half of dough to 18″×8″ rectangle. 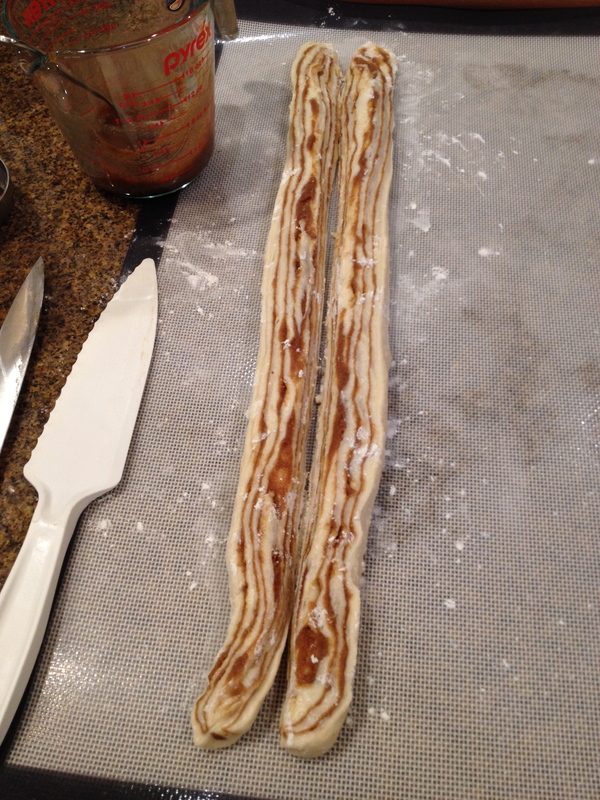 Spread half of cinnamon filling over dough. Roll from long end to long end, pinch seam. Cut down center lengthwise. At this point, the two long pieces can be twisted together and put in a circle or cut into shorter lengths and twist for individual portions (see pictures below). Repeat with second half of dough. Cover and let rise until doubled. Bake in preheated 375° oven for 15-20 minutes. 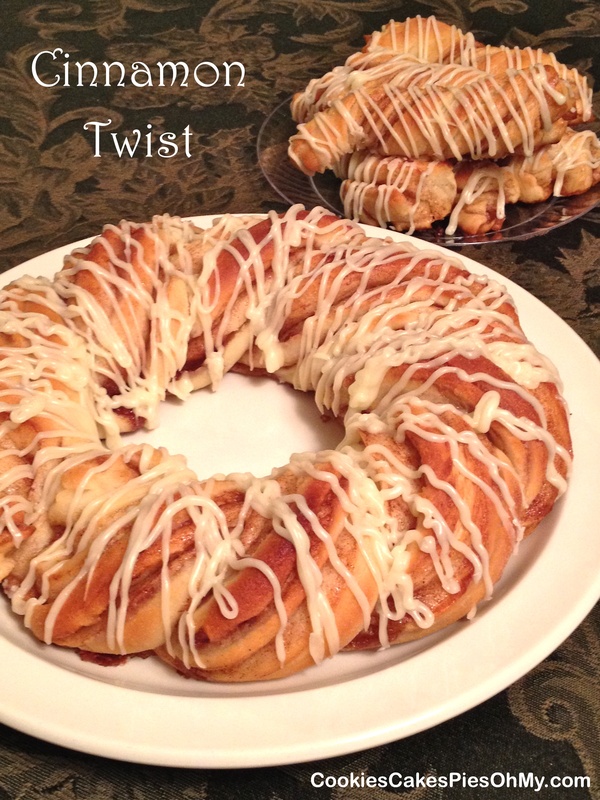 Frost with cinnamon roll glaze. Mix powdered sugar into butter, add enough milk to make desired glaze consistency. 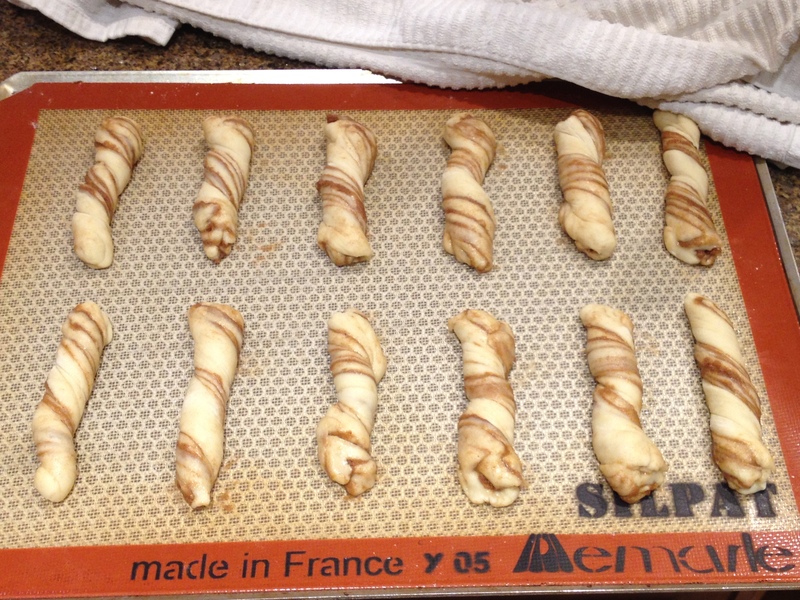 Spread over cinnamon twists (or put in baggie, snip corner, and drizzle over twists). 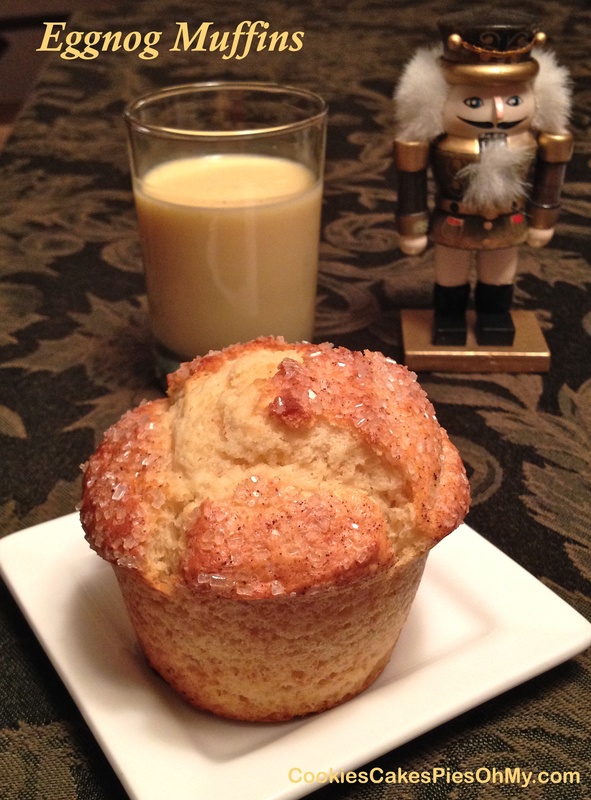 Had to have an eggnog fix today! Preheat oven to 400°. Stir together flour, baking powder, salt, and nutmeg. In another bowl, mix eggnog, egg, oil, and sugar. Add eggnog mixture to dry ingredients. Stir just until combined. Scoop batter evenly between 6 sprayed or paper lined muffin cups. Sprinkle with sparkling sugar and nutmeg. Bake 18-20 minutes. For the Love of PUMPKIN! 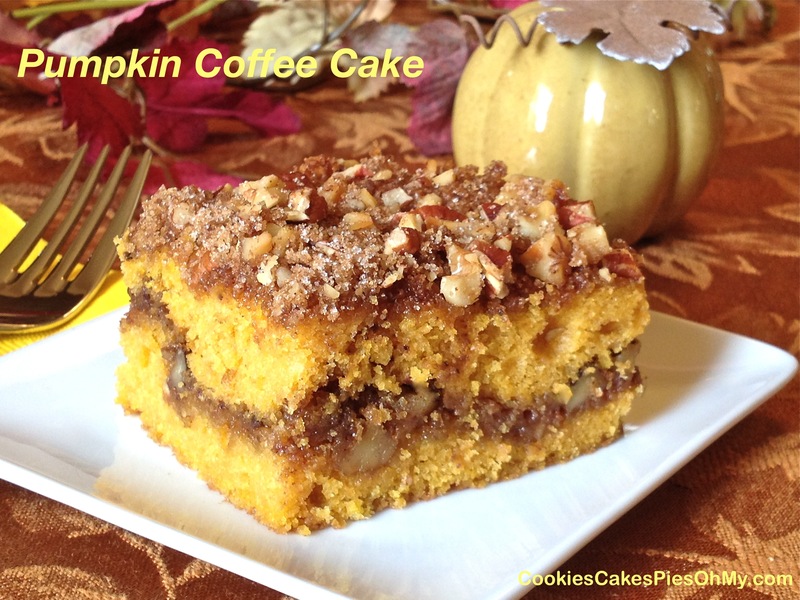 For the love of PUMPKIN! Click on a picture to get the recipe. Which is your favorite?